Our first cohort of participants, who joined Think Ahead in 2016, completed the programme in September 2018. [Partnering with Think Ahead has] made the Board more aware of social work, heightened the profile of social work, and strengthened social work’s role in community mental health team transformation. Six months later, as we’re about to bring our fourth cohort of recruits into mental health services, we’ve taken the opportunity to review the impact of our charity’s work. 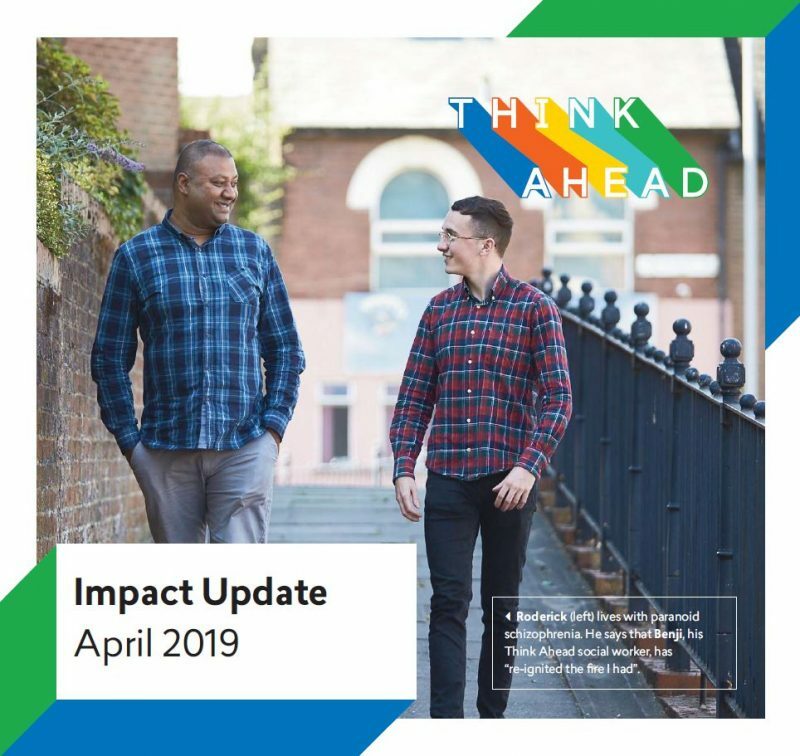 Today we’ve published an Impact Update, which brings together the most recent facts and figures from Think Ahead, including feedback from service managers in our partner organisations. We’ve recruited 297 talented and dedicated people from over 60 different universities into mental health social work, with 100 more starting this year. We have trained them to improve support for people with mental health problems, with the programme’s focus on mental health and our unique model of support provided to participants particularly valued by our partner services. Being part of Think Ahead is strengthening partner services across the country, by improving practice in mental health teams and boosting the profile of social work. Overall our programme compares well with other routes into the profession, with 81% of our partner services deeming our model more effective than other entry routes. We’re also particularly pleased that 79% of our first intake of participants are employed as social workers 18 months after qualifying – this also compares favourably to other routes into the profession. This document was updated on 17 April 2019 to include the most up-to-date programme completion statistics, which showed a higher rate of master’s degree completion.